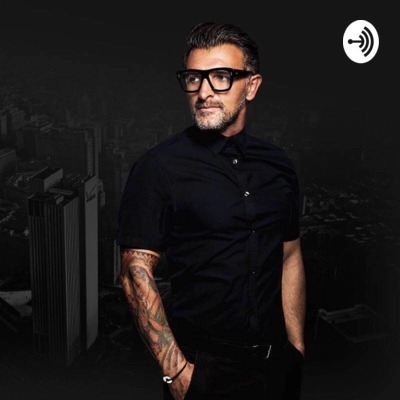 John Sanei (Sah-nay) is an entrepreneur, innovation strategist, best-selling author and global speaker who talks about the future with a unique twist. By combining human psychology, future studies and business strategy, he guides audiences and leaders into an exponentially different future with excitement and optimism. Keynote from AfricArena Tech Conference - Are you an architect of your future of victim of it? John talks about an invisible perspective called Africanism, this idea that as African's, we think we are not good enough. Shots of Foresight - Do you celebrate speed and efficiency or direction? In this episode I chat about Nokia as an example of choosing speed and efficiency over direction. In this episode I discuss the difference between being balance sheet centred or people centred, and why it's so important to be the latter. Shots of Foresight - Why the language we use is quite literally magic. In this episode I discuss a question I keep getting which is about the importance of language in our everyday use. In this episode I talk about the significant difference between passion and obsession and why it's so important. What decisions are you making everyday and why it's so important. In this episode I share my thoughts on reality creation and how to become an architect of your future and why it's so important. In this episode I share a tactic and strategy for how businesses should disrupt themselves. How to really embrace our 'darker' personality traits. John Sanei - "Shots of Foresight" - How best to understand, define and cultivate your future.